Does Configuration Management research have a future? 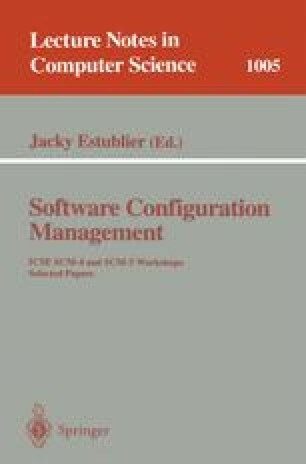 In this position paper we raise the question of whether Configuration Management (CM) research has a future. The new standard in CM systems—typified by commercial products such as Adele, ADC, ClearCase, Continuus/CM, and CCC/Harvest—largely satisfies the CM functionality requirements posed by Dart. This implies that research in the area of CM is either unnecessary or that we must find new challenges in CM on which to focus. We believe that these challenges indeed exist. Here we present some areas that we feel are good opportunities for new or continued CM research, and therefore conclude that CM research does have a future. This material is based upon work sponsored by the Air Force Material Command, Rome Laboratory, and the Advanced Research Projects Agency under Contract Number F30602-94-C-0253. The content of the information does not necessarily reflect the position or the policy of the Government and no official endorsement should be inferred.